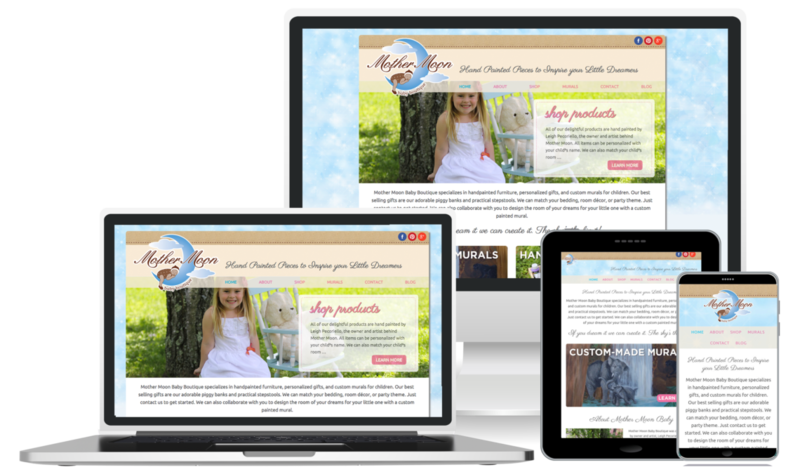 Mother Moon Baby is a New Jersey-based online retailer of custom, hand made gifts for infants and toddlers. Owned and operated by artist Leigh Peccoriello, Mother Moon provides a service that is so unique. Specializing in hand-painted goods and custom murals for children, Mother Moon’s mission is to create “Hand Painted Pieces to Inspire your Little Dreamers”. It was such a pleasure to work with Lee on this project. Mother moon used to be a brick and mortar retail shop, and we had the pleasure of bringing the brand to life online. Check out the site at mothermoonbaby.com.